Sidewalk seating provides animation, vibrancy and – when designed appropriately – contributes to positive visitor experiences in Banff. 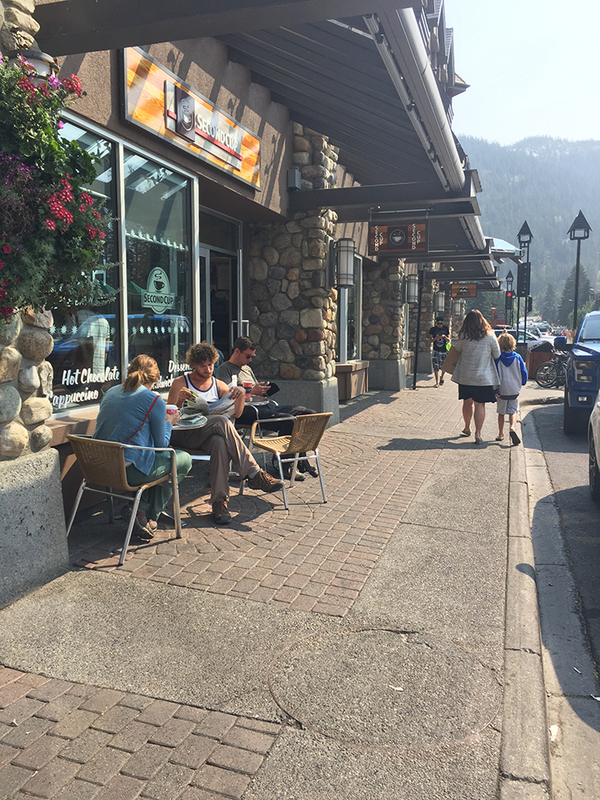 To encourage sidewalk cafes while also respecting urban design principles, the Town of Banff follows the Sidewalk Seating/Café Policy C7005 (PDF). This policy outlines the criteria for the establishment of restaurant seating within the public realm. be able to demonstrate the sidewalk can accommodate restaurant seating and maintain required Pedestrian Zones as described by Council policy. The fees for Sidewalk Seating can be found in Schedule O of the Fees and Charges Bylaw (PDF) and are based on the level of service provided. Questions regarding program eligibility and Sidewalk Seating/Café Application requirements can be directed to Planning and Development at 403.762.1215.